We at Addmen Group provide state-of-the-art recruitment solutions in India. We are known providers of convenient end-to-end Recruitment Solutions for managing OMR based recruitment and selection process.We also provide OMR Sheet Checking Software for in-house scanning of OMR application forms and OMR answer sheets by your recruitment team. OMR Based MCQ Test : Addmen offers convenient OMR Solutions for OMR based selection test, including OMR Software, OMR Sheets & Scanners. We also undertake outsourced OMR sheet reading projects in India for MCQ OMR Answer Sheet checking and OMR Form reading. 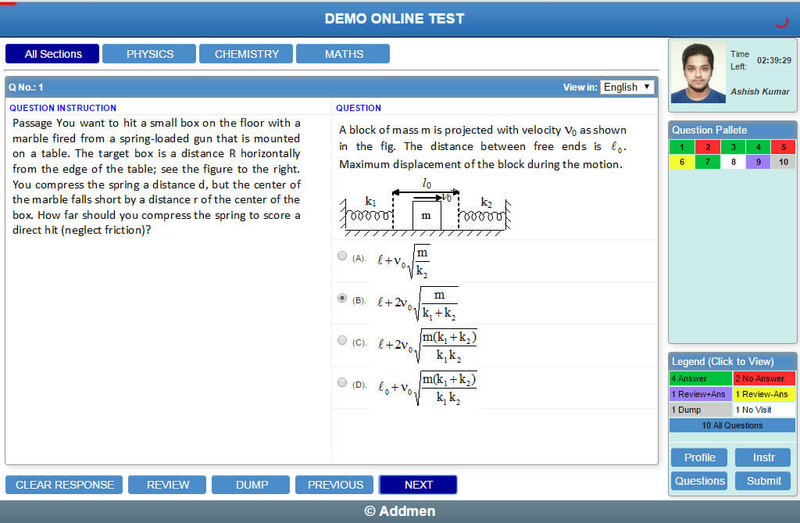 Computer Based MCQ Test : Addmen offers a online test platform for conducting computer based tests. The system is technically rugged and able to meet heavy loads. The online test software not only works online but can also be deployed in individual examination centres to deliver efficiency and be internet independent. The data collected and transported is encrypted and then transferred to the main server after the examination time is over. This mechanism is suitable for an examination in which the expected candidature is computer savvy. Such mechanism is not suitable for very large scale government recruitment exams involving rural candidature of low qualification who is not well versed with computer operations.